Rosharon, TX – October 2, 2014 – It was the thrill of a lifetime in more ways than one, as 286 skydivers took to the skies and made a jump that was both exhilarating and meaningful to so many. Children’s Cancer Recovery Foundation (CCRF), a 501(c) (3) charitable organization, hosted an adventure fundraiser called Jump! Shout! on September 27th financial assistance to children with cancer and their families. 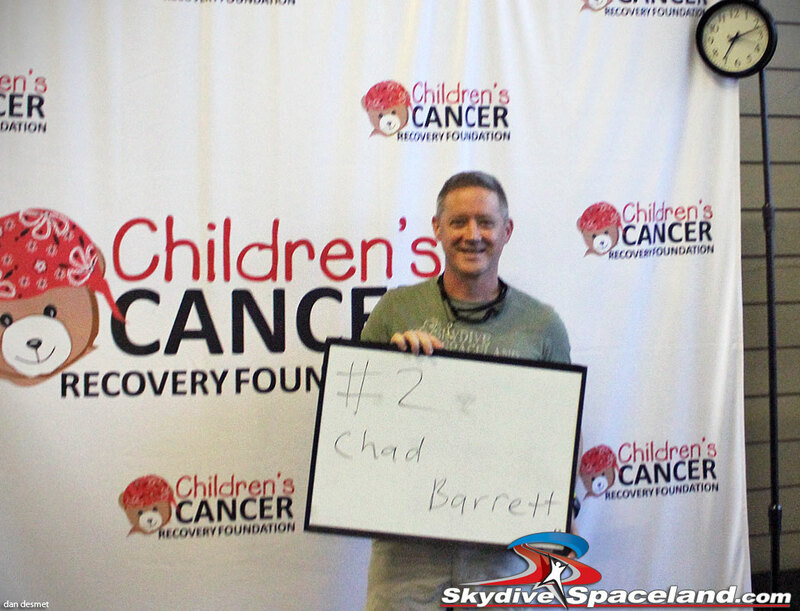 As part of National Childhood Cancer Awareness Month, participants raised a collective total of $48,255 for this important cause, and CCRF says it proudly broke the Guinness World Record for most tandem skydive jumps in one location in 24 hours at 286 jumps. CCRF will submit documentation to Guinness World Records for official review and confirmation. The previous record was set at 281 in June 2014 and was organized by Skydive UK Ltd (UK) at Dunkeswell Aerodrome in Devon, UK. Donations to Jump! Shout! are still being accepted to assist children with cancer. 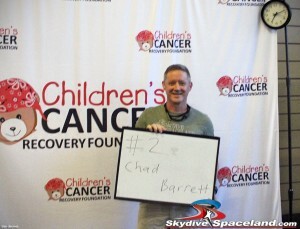 Please visit childrenscancerrecovery.org/jump-shout/ to contribute or learn more. Headquartered in Harrisburg, PA with a division in The Woodlands, TX, the Children’s Cancer Recovery Foundation supports children under 18 and their families facing the hardships of cancer. The foundation performs acts of care and kindness through the following programs: Bear-Able Gifts (largest distributor of gifts to children with cancer in the U.S.); Toxic-Free Kids (educates families on the dangers of environmental toxins); New Era Cancer Research Fund (funds research for less toxic, minimally-invasive pediatric-cancer treatments); International Aid (provides medications and supplies to clinics in developing and impoverished countries); Helping Hands Fund (provides emergency financial assistance to families); and summer camp programs in PA and TX. With a national pediatric-hospital partner network of 215+ locations, the foundation directly helps more than 15,000 children affected by cancer and their families every year. Please visit www.ChildrensCancerRecovery.org.